Architectural light graffiti comes in many forms that all share one common feature: the effects are there one second and gone the next. The only record of these curious performance arts comes in the form of photographs and videos. 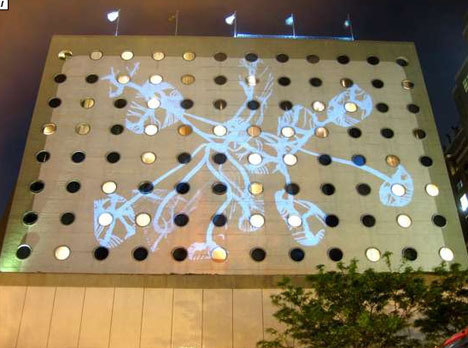 Here’s a look at three types of urban light art: dorm room tetris, lightstick air animation and architectural projection bombing. Tampere, Finland: Adjacent to the Nokia research Center in Europe, Mikontalo is the largest student dormitory in the Nordic countries. 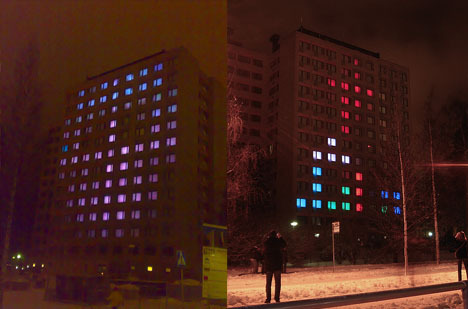 People from the Finnish Student Union and Universimo gaming company decided to play some tetris using the apartment lights and windows of the building, controlled by remote! 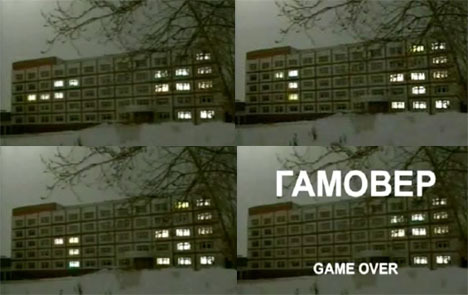 This is a somewhat more sophisticated approach than the low-tech Russian version (first video above) in which time-lapse photography is employed and students manually switched on and off the lights! 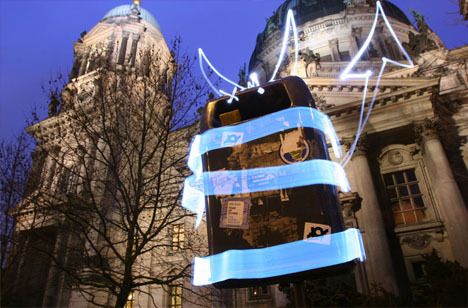 Koln, Germany: Lichtfaktor uses their light to expressive their creative impulses. 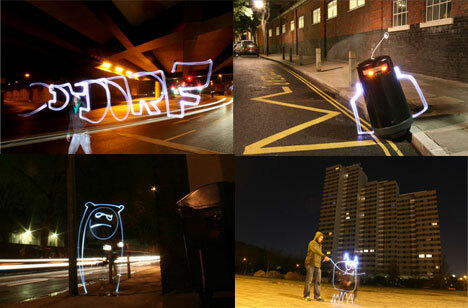 Late at night, they document their exploits via photography and film, writing and drawing light graffiti. What start as simple air drawing has since developed into an interest in complex forms and visual collages. 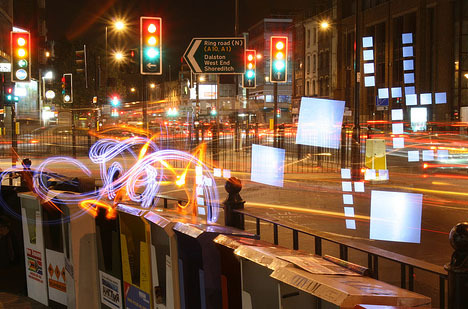 They continue to evolve their art and experiment with new forms of light animation. New York City, USA: Outdoor digital projection in urban environments is a great method for getting your content up big before the eyes and in the minds of your fellow city inhabitants. 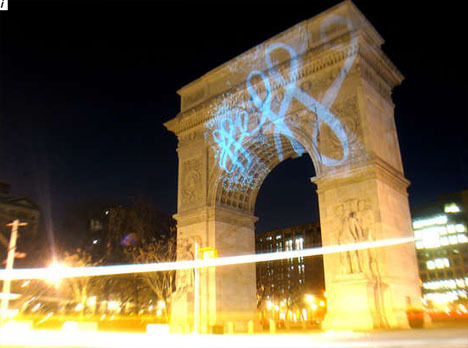 Digital projection bombing is a leave-no-trace activity much like the bizarrely creative practice of reverse graffiti, but other forms of light graffiti also exist including battery-powered LED throwies.